If you’re having problems with Realtek PCIe GBE Family Controller driver on Windows 7, you’re not be able to access the internet. You may see a yellow mark next to this device in Device Manager. 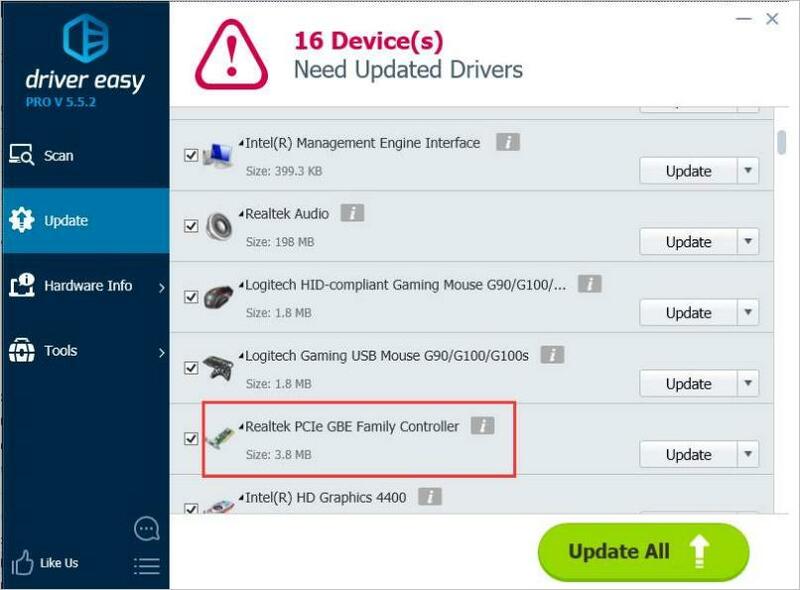 To fix the Realtek PCIe GBE Family Controller driver issue in Windows 7, you can update the driver. We’ve put together two methods to fix the problem. You can try both of them until the problem is resolved. The yellow mark next to the device may indicate the driver is not being installed correctly or the driver is missing. 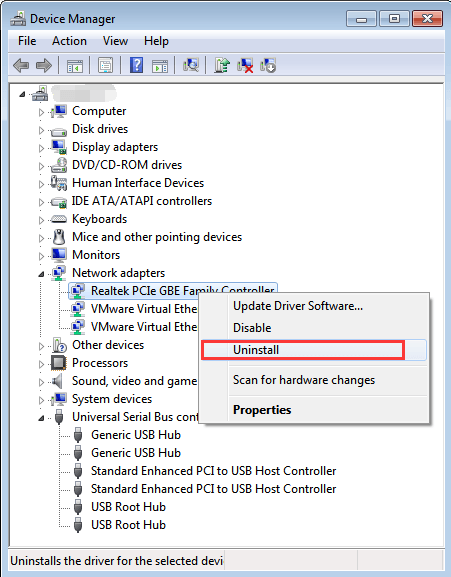 You can uninstall the driver then allow Windows to reinstall a new driver. 1) On your keyboard, press Win+R (Windows logo key and the R key) at the same time to invoke the Run box. 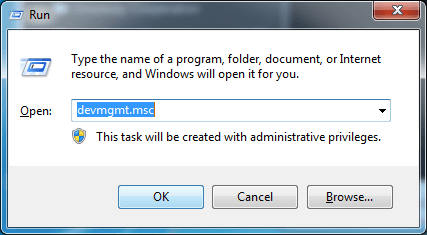 2) Type devmgmt.msc and click OK , then the Device Manager dialog box will open. 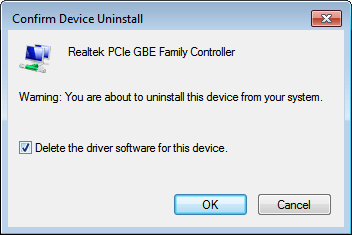 3) Right-click on Realtek PCIe GBE Family Controller and select Uninstall. 4) Windows will prompt you to confirm the uninstall. 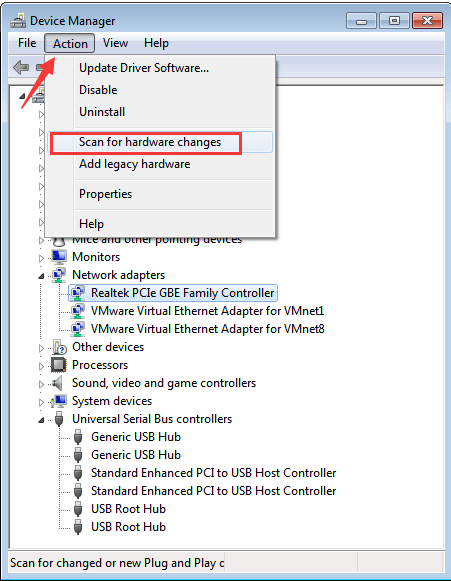 Click the checkbox next to “Delete the driver software for this device”, then Click OK.
5) Click Action in the top menu bar and select Scan for hardware changes from the drop-down menu. Then Windows will find and install a new driver again. 6) Check to see if you can have access to the internet. Method 1 may help resolve the problem, but if it doesn’t, you can try to update the driver. If you don’t have time, patience or computer skills to update the driver manually, you can do it automatically with Driver Easy. IMPORTANT: If you can’t have access to internet due to network driver issues, you can use Driver Easy Offline Scan Feature to download and install a new network driver. 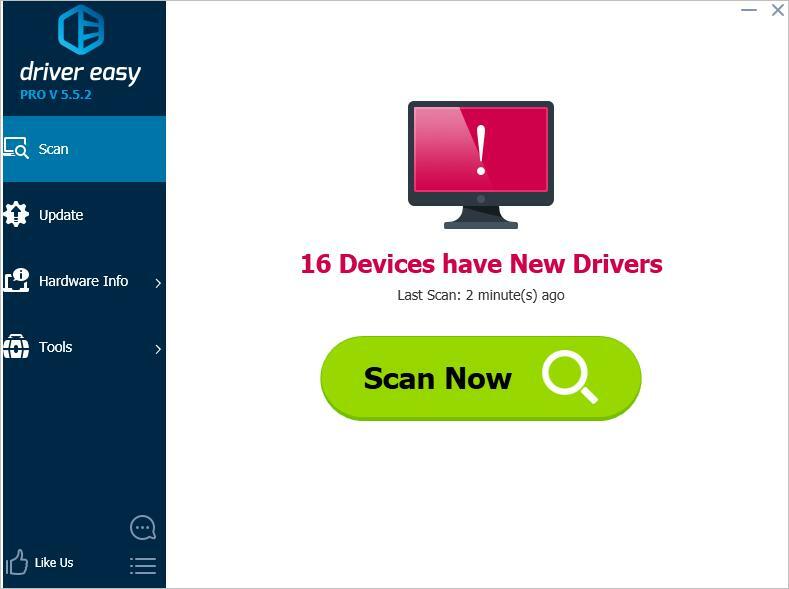 After trying Driver Easy, if your network driver issue still persists, please feel free to contact our technical support team at support@drivereasy.com for further assistance. 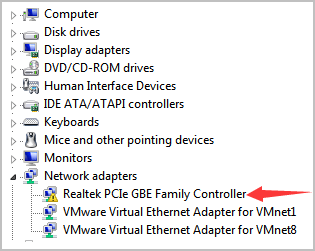 Hopefully you can fix the Realtek PCIe GBE Family Controller driver issue in Windows 7. If you have any questions, feel free to leave your comments below, please.